JD Finance, the financial arm of Chinese e-commerce giant JD.com, has reportedly launched its stockbreeding intelligent solution to assist the nation’s farmers raise better animals at lower expenses. As per trusted sources, the new solution is a package of digital tools such as the internet of things, robotic technologies, artificial intelligence-enabled analytics, and machine vision. Reportedly, the move is in line with the broader strategy of JD Finance to expand beyond its conventional fintech business. The company also introduced a new brand – JD Digits – to speed up its foray in more verticals such as digital marketing and smart cities. Sources familiar with the development claim that JD Finance is presently working together with the Chinese Academy of Agricultural Sciences and China Agricultural University to test the smart solution on pigs. The company has pledged to digitize traditional agriculture practices and bring the technology to more animals in the years to follow. The machine vision technology of JD Digits tracks and identifies pigs by utilizing overhead cameras. The system is able to control room temperature, monitor the health and growth of each pig, cite reliable sources. For the uninitiated, the China Agricultural University is working with JD Digits to launch such technology for the pig rearing industry. 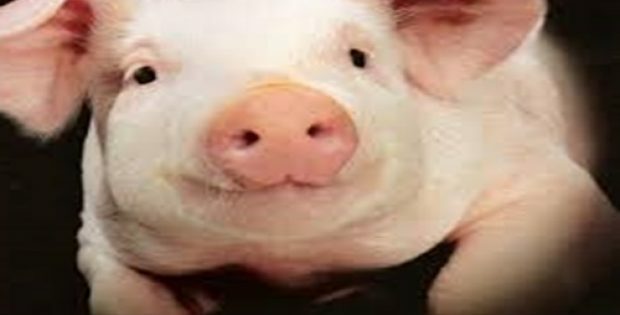 A professor at China Agricultural University, Li Defa was reportedly quoted stating that the new solution is anticipated to provide customized feeding plans for each pig with the help of sophisticated AI-enabled analysis. Sources familiar with the latest developments claim that this would assist in producing better meat at lower costs. For the record, facial recognition technology is being widely utilized in China from catching jaywalkers to opening bank accounts. However, the technology is now being used on pigs and that may soon extend to sheep and cows if JD Finance has its way.